Lightning McQueen is a hotshot race car with a big ego; believing that he needs no help to win races and succeed, he finds himself without any true friends. 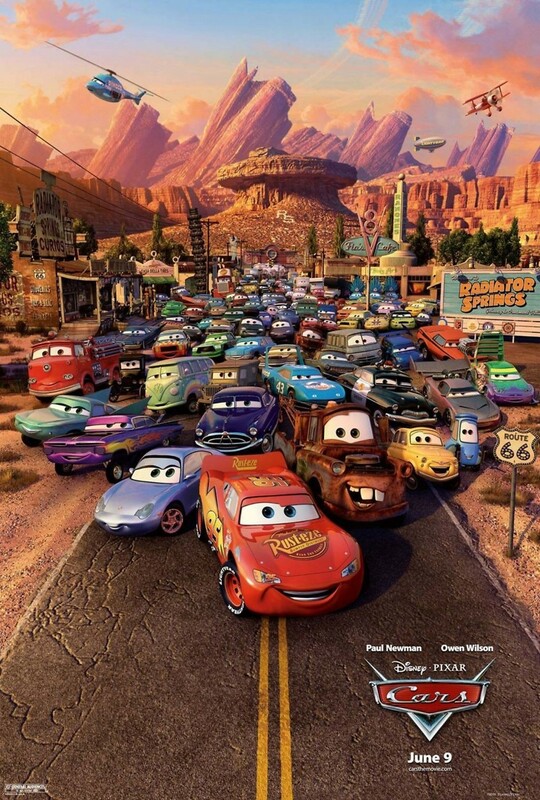 When he and Chick Hicks, a rival race car, head to the Piston Cup to battle for the title, Lightning McQueen gets lost on the way and finds himself in the small town of Radiator Springs where his fame is meaningless. With the help of Doc, the town's mayor and a former race car himself, Mater, the tow truck who takes him under his wing, and Sally, the town lawyer, Lightning comes to understand teamwork, friendship, and helping others. When he makes it to the Piston Cup and has a chance to win the race, Lightning McQueen forgoes the win and instead chooses to help another race car in need.